The Hammond-Rodgers Park offers children ages 5 to 12 years old magnificent entertainment (playground equipment). It also offers outdoor exercise stations for adults. During the summer, the Municipality and its partners offer cardio and weight training sessions every Tuesday and Thursday. 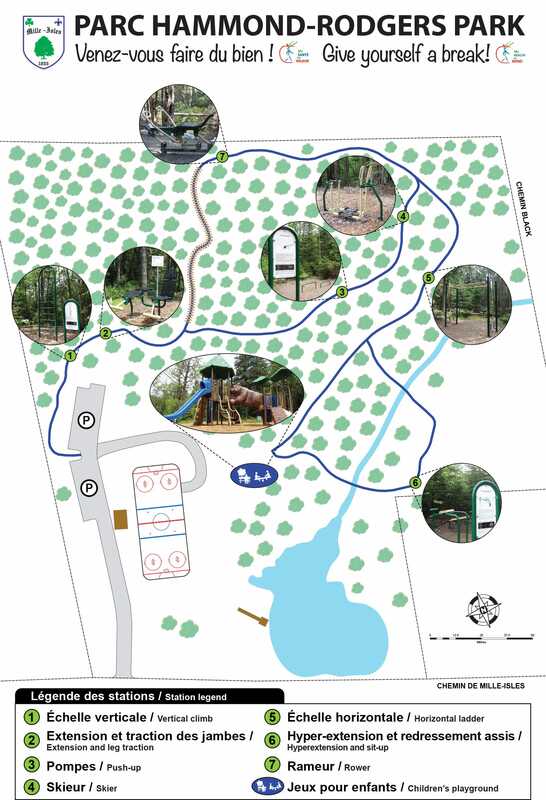 Hammond-Rogers Park also offers a nature trail nearly one kilometer long. In the winter, free skating and hockey on the local skating rink. © 2017 Municipality of Mille-Isles. All Rights Reserved. Web design by King Communications.